Many families have become persuaded that residential care facilities for the elderly (RCFEs) that are smaller in scale are more preferable than large-scale facilities. Sometimes known as assisted living centers for the elderly, RCFEs can provide a level of independence complemented with a level of assistance that is ideal for many elderly people. The smaller the facility, the more customized the experience may be. Moreover, families prefer smaller settings for a variety of important reasons outlined here. Many elderly people care about their independence, yet they may need some assistance as they age. By moving to an RCFE, they can obtain the assistance they need while still living the independent life they love. 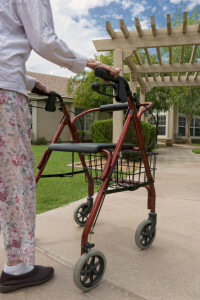 In addition, families have the peace of mind knowing that their loved one is receiving the additional care they need while still happily living life on their own terms.These facilities range in size, of course, but the small facilities have been gaining in popularity because there is greater focus on individuals and this gives families even greater peace of mind. It almost goes without saying that a small facility can provide more individualized attention than a large facility. There is far less risk for an individual to remain anonymous in a small RCFE than in a large one. In small settings, the staff is better able to get to know the members in their care and their individual needs. More specialized treatment naturally results in a more customized experience for residents. In large facilities, there are many residents. Staff members have to split their time between them. In small facilities, there is a stronger emphasis on the ratio of residents to caregivers. For families that want their loved one to have a higher degree of care, a small facility is the way to go. Residents have the opportunity to spend more time with their caregivers and the caregivers are better able to understand and deliver the care needed for each resident in their charge. One important aspect of independence is the ability to eat how one wants or needs to. In a small facility, there is far more opportunity to customize meals for residents. This is so important for many elderly residents who want to eat as they like. Families, too, want to ensure that their loved one is happy in their setting and food is integral to the experience. No adult wants to eat a meal that is not to their liking; imagine how it would feel to eat such meals for the greater part of the week. When residents can eat meals that are more to their liking, they’ll be far more likely to enjoy their setting. In small RFCEs, there tends to be a stronger emphasis on privacy and the respect for privacy. So often, maintaining privacy is akin to retaining one’s dignity. Residents feel that the ability to live their lives privately is a cornerstone of living independently. If your loved one values privacy, than a small facility will likely be the ideal choice for them. It’s also not surprising that small settings are better able to create a more home-like atmosphere than large units that, well, look more like units and less like home. The atmosphere of the RCFE is so important for many residents who want to live in a space that feels comfortable to them, that can truly become a home–not a care facility. Small facilities are able to focus on decorative elements–the elements that transform a facility into a genuine place to live. Because the small RCFE tends to be far cozier than the large ones, residents feel like they are more valued members of the community. They are often more inclined to participate in community activities and to get to know their neighbors–the other residents–in meaningful ways. True friendships and companionship are fostered in the small facility and people feel connected to their home and fellow residents and caregivers. If you or your family is contemplating assisted living, consider all the benefits of a small RCFE. For people who care about high-quality living and personalized attention, the small RCFE is the only option that makes sense.